Attention is a challenging issue for parents and teachers of pre-K students alike. In the pre-K classroom, working on attention spans is part of the learning process, as students become more adept at learning the differences between work time and playtime. Attention span issues can be even more challenging today, when young children are accustomed to entertainment with digital devices and constant distractions. Although the ability to be attentive naturally increases with age, there are things you can do to help your student in pre-K in Pembroke Pines . Try these tips to boost the attention span of your pre-K student. Nearly anything can be a distraction when a young student is tackling a task he or she may not really want to do. Before your child has to concentrate on something, make sure he or she is well rested, not hungry or thirsty, and has used the bathroom. Don’t have the TV or music on, and keep digital devices tucked away. Give your child space and time to concentrate on one thing, and he or she will become more adept at tuning his or her attention to the right things. If your child’s attention problems occur most often in the pre-K classroom, make sure he or she is ready for the day when you arrive at school. Avoid showing DVDs in the car, and eat breakfast at home when possible, instead of on the go. Put shoes on at home, rather than in the car. The ride to school should be a calm time when you can help your child focus on getting ready for school. Watching a DVD while frantically eating breakfast and rushing to finish getting dressed in the car will result in your child arriving at school feeling anxious and exasperated instead of ready to sit down in the classroom. As a general rule of thumb, the number of minutes your child should be able to pay attention is his or her age in years multiplied by two to five . Anything outside of that is unrealistic. Try breaking tasks up into timed chunks that fit into these windows so your child doesn’t become frustrated, which negatively impacts attention spans. Four is an exciting year for parents and children alike. 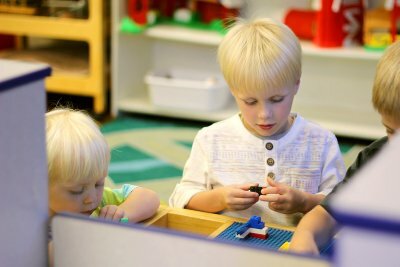 Four-year-olds are eagerly embracing their newfound independence and they are actively developing the skills they will need in kindergarten and beyond. You’ll begin to see your child take on a more clearly defined personality as he or she progresses through pre-kindergarten . Consider talking to your child’s pre-k teacher in Pembroke Pines about ways of supporting your child’s healthy development at home. Pre-k kids are working on both gross and fine motor skills. In fact, parents are often amazed at the boundless energy of their four-year-olds. A four-year-old should generally be able to balance briefly on one foot, hop on one foot, and walk up the stairs without assistance. As pre-k kids progress toward their fifth birthdays, they begin to try new skills like somersaulting, climbing, swinging, and skipping. Fine motor skills become much more developed during this year. Your child should be able to print some letters, use cutlery, copy geometric patterns, and get dressed and undressed without assistance. You might notice that your four-year-old eagerly looks forward to story time. He or she may even begin recalling parts of a story on his or her own. During this year, he or she should begin speaking sentences longer than five words, use the future tense, and clearly speak his or her name and address. Pre-kindergarten programs guide children in learning the essential skills they’ll need later on, including pre-math skills. 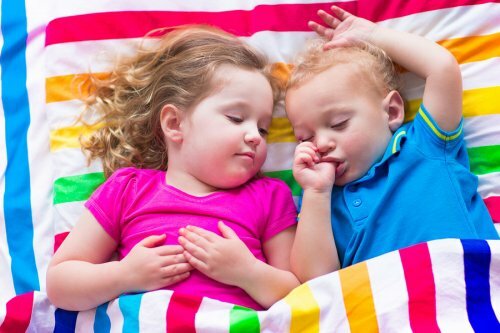 During this year, your child should be able to name at least four colors and he or she should have a general understanding of the passage of time. Your child should be able to count 10 or more objects. One major benefit of high-quality pre-k programs is the social skills that kids acquire. Your child will enjoy spending time with friends. He or she will adjust to the idea of cooperative and group play. Your child may be very interested in fantasy play, but in many cases he or she will know how to distinguish reality from fantasy. 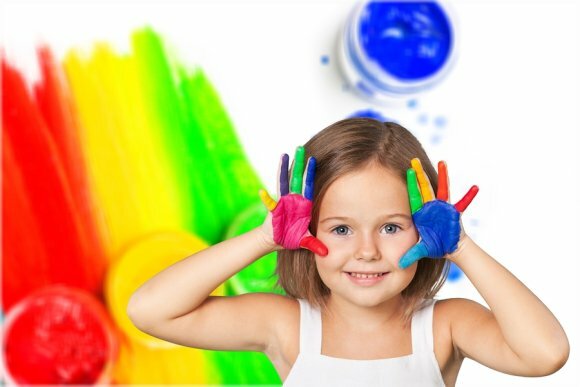 Giving your child the experience of preschool will help as he progresses to pre-kindergarten and into grade school. 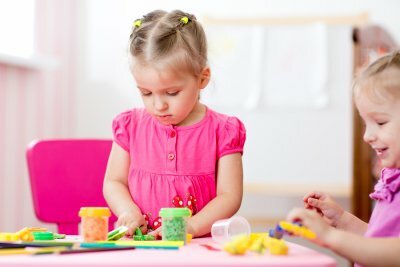 Various preschool activities can form the building blocks of early academic skills and child development in Pembroke Pines. Through these fun and engaging activities, your child will gain new experiences that will follow him throughout his academic career. 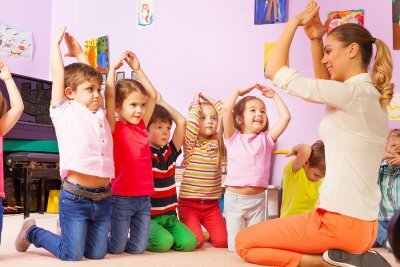 Preschool classes are typically filled with laughter and playtime. However, that same playtime is teaching children the basic foundational concepts associated with reading, writing, science, and math. A child might see his coloring page as a fun craft, but his preschool teacher knows that he is learning fine motor skills to help with future writing worksheets. The class may enjoy digging in the dirt to plant seeds, but their teacher knows that she is teaching them a simple concept of earth science. These are just a few examples of the various skills and life lessons your child will learn with a preschool curriculum. If you are curious to learn more, contact a preschool near you to schedule a campus visit. As your child enters preschool near Pembroke Pines, he may struggle with the concept of gripping a pencil. This is normal, especially in early childhood education . Children are still developing their fine motor skills and learning how writing on paper will help their academic success. Watch the short video for an easy way to help your child grip a pencil. You would hand your child a pencil, sharpened end toward him. Ask him to grip the pencil between his thumb and pointer finger. As he grips, slowly move the pencil to rest on the skin webbing between these two digits. Be sure to watch your child as he does his preschool or kindergarten work. Notice if he grips the pencil too hard. If he has blisters on his hands or his knuckles are white while writing, ask him to loosen his grip. This will help encourage him to hold the pencil correctly. If you’re a parent hoping to give your child a jumpstart in kindergarten by enhancing her pre-math, pre-reading, social, and language skills, pre-kindergarten programs in Pembroke Pines are an excellent option. 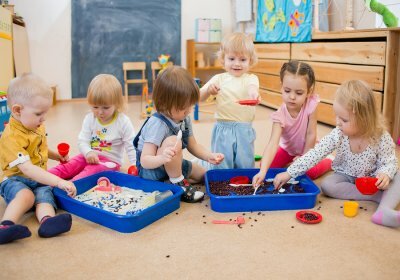 If you’re planning to enroll your child in a pre-kindergarten program, there are a few good things to know to plan for pre-k.
Before choosing a pre-k program, there are a few essential features to look for during your search. Ask the school if you can schedule an appointment. This will give you a chance to speak with the teachers, ask questions, and see classes in progress. Look for classrooms where children are safe, active, and not wandering off by themselves. Your child should be in an environment where she is happy and not bored or distressed. Select a program where class sizes do not exceed 20 children, and that have at least 1 teacher for every 10 children. If your child is uncomfortable in larger groups, look for programs offering smaller classes of about 10 students. The staff should be caring, sensitive, and responsive to the needs and requests of the children. Ask about the program’s curriculum, and find out how it promotes language, social, physical-motor, and cognition development for the students. The pre-k program’s teachers should hold 4-year college degrees and have specialized training in child development and early childhood education. Assistant teachers should have some training or college course work in child development or a discipline related to pre-kindergarten. Before heading to pre-k, ready your child with a few skills that will help her flourish at her new program. At this age, children should be able to dress themselves. Take the time to teach your child how to tie her shoes, button a shirt, dress herself in a jacket and mittens, and put on her backpack. To prepare her for learning to write in school, teach her how to properly grip a pencil and show her how to draw circles, half circles, and straight lines.